Belle of the Ball and Vintage Ladies YouTube video. Sometimes we all have to make do with what we have. I had hoped by now that Provocraft would have introduced a new “College” cartridge that would include all things college related….Sports, Student Government, Diplomas, Sorority, Fraternity, Dorm stuff….not to mention a GREEK ALPHABET. I can keep hoping that one will appear soon, but until then I do the best I can with my Gypsy and Cricut. Since starting this blog, I have posted at least one item that is sorority related and I received requests on how I made my letters. 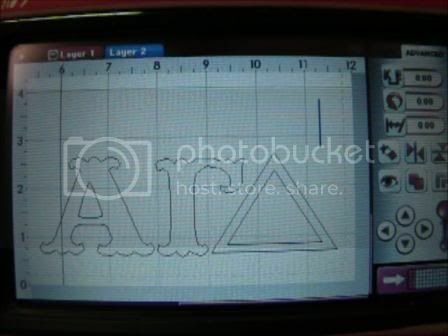 I only needed an Alpha, Gamma and a Delta for my youngest daughter, so I have not tried to design any of the other letters of the Greek Alphabet. Thinking it might be easier to explain by the spoken word, rather write out some directions, I decided to make a video tutorial on these three little letters. Please let me know what you think…..
We are coming to the end of our Jumpin’ June Bug Swap over on the Cricut Message Board, so that means Blog Hop time! Since we were the Jumpin’ Bugs…we are calling this little jaunt to each of our blogs a “Jump”. 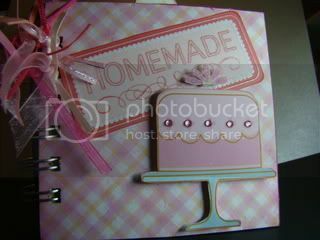 Simply My Crafts<<==You are HERE! The above list of blogs are those of ladies who are participating in our Blog Jump and if you arrived here first, I encourage you to go back up to the start at Julie’s place at My Little Corner, where you will find a wealth of creativity, and make your way back down to the bottom…which is right here! You should have arrived here from Cammi’s place at Cuttin’ Up. Isn’t she amazing? Cammi is definitely a hard act to follow, but I present to you my Altered Paint Sticks that I created for yet another Cricut Message Board Swap. We took regular paint sticks and embellished them, sent them in to our hostess and we receive back everyone else’s to make an album or display however we wish. 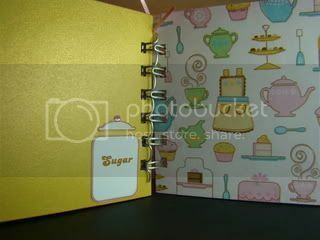 My sticks were inked with a yellowish-orange ink from Studio G and then covered with papers from My Minds Eye Home Glitter Book. 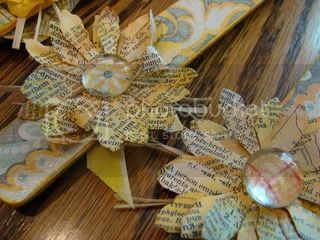 I chose to embellish my sticks with sunflowers from the Tim Holtz Tattered Florals Die Set. After spritzing and inking them, I put them together with a glass bauble in the center and then adhered to the stick. 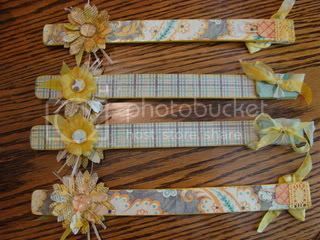 The reverse side of the stick was embellished with a silk flower with a center cut from coordinating papers. I used a crocheted lace on the end of the stick to hold a very tiny tag. 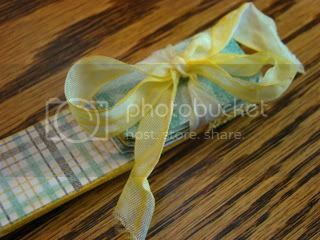 I cut a double set of Tim Holtz tickets and attached them with a ribbon on the reverse side. My set ready to head to their new homes…. 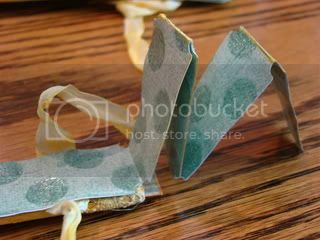 NOW FOR THE BLOG CANDY!!!! You can’t have a party without some yummy goodness, right? 2. Become a Follower of Simply My Crafts. 3. 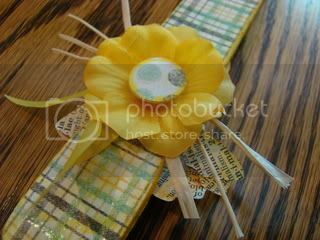 Like Simply My Crafts on Facebook. 4. Subscribe to the Simply My Crafts YouTube Channel. 5. Leave another comment telling me which of the extras you have accomplished. Easy~Peasy! Gearing up for our June Bug Blog Jump! Finishing up my last assignment for the Bind-it-All class I was taking at the Creative Classroom, I decided to make a mini for my swap partner. Candyhazzard was my partner in the Handmade Swap over on the Cricut Message Board. Now that she has it in her possession, I thought I would post it here. Here’s the youtube video that I posted, as well….. 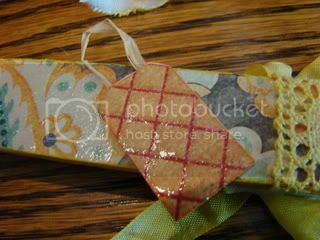 I can hardly wait to get some photos taken of the items that she sent to me and get them posted. They are amazing! Oh yea! I am so late in getting the photos posted of my swap partner’s mini paint can that she sent me. 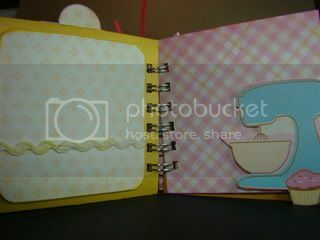 In May, I participated in Crystal’s Altered Mini Paint Can Swap and JackieBault was my partner. 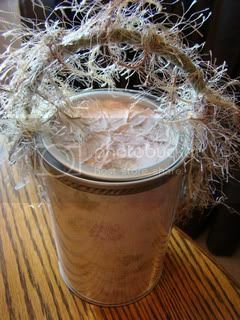 I posted the photos of the can I created before I sent it off to Jackie, but I was out of town for a long while when hers arrived to me. It sat, all alone, silently…waiting for me to pick it up from the post office. What a lovely gift to be waiting for me when I arrived back home. Unfortunately, I had some deadlines that I had to meet, along with a large yard sale planned so I didn’t get the photos taken until this morning. In my opinion, not posting photos in a reasonable amount of time is RUDE! Photos of what you received in a swap is all part of the THANK YOU! and acknowledgment of all the hard work that goes into making something special for someone else. Jackie I owe you many HUGE apologies for my tardiness! I hope will accept my sincere regrets and that you will consider partnering with me again soon! Take a look at my can and all it’s goodies!!!! 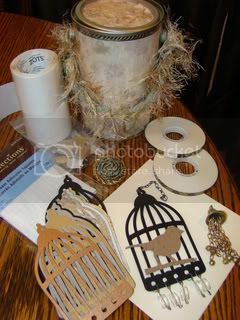 I just adore the Tim Holtz Bird Cage Die embellishment. How clever is that? Gives me all sorts of ideas! 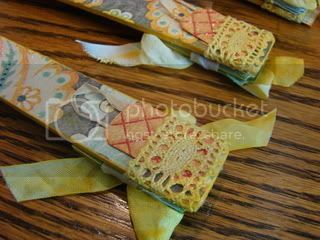 Well, we have finally completed the first Tim Holtz Dress Form Tag Swap over on the Cricut Message Board. Who would have thought that a die cut and some fabric, paper, feathers and a few other embellishments would present such a stunning group of dress forms? 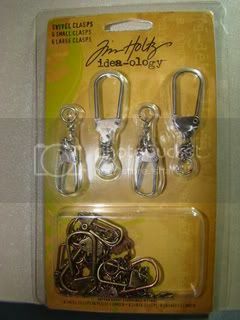 I love Tim Holtz products and knew I just HAD to own the new Alterations Sewing Room Die set when it was released. Lucky for me, a friend sent me a link (thanks Caitlysnmommy!) to a great sale and I was able to make it all mine! We have started a new swap which will be due in August. Check it out HERE. In the meantime, please enjoy this quick video showcasing all the fine work of by each of the participants of the June 2011 Tag Swap. A little late in posting this, but I just wanted to share some fun. Wish I had made it out for the morning flights or the real balloon glow, but I did enjoy Saturday night’s activities. I am so looking forward to next year’s Sunflower BalloonFest!